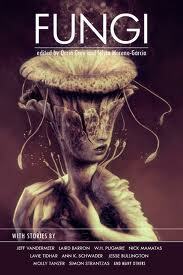 Fungi is a new anthology from Innsmouth Press edited by Orrin Grey and Silvia Moreno-Garcia. First let me compliment the brilliant cover art from Oliver Wetter. He does a very nice job of capturing the spirit of what lies between the covers of this anthology. As I read the 27 stories in this collection I found my response to be as varied as the stories themselves. There were some I loved, some I was lukewarm about and others that I just didn't care for at all. The anthology starts with "Hyphae" a tale from John Langan. One of the better stories in Fungi. After that the stories get more and more out there, including a land of mushrooms, a tale where every character is named for a type of mushroom. There's a fungus western, pychedelic mushrooms. Some of the stories are truly Lovecraftian and then there are stories that just have a fungi theme. There a few familiar names in this anthology and plenty of relative newcomers. One of my favorite stories is written by Molly Tanzer and Jesse Bullington. "Tubby McMungus, Fat from Fungus', a wonderful, fairy-tale type of story involving cats, rats and of course fungus. There's also the delightful ""Wild Mushrooms" from Jane Herenstein and the clever "Letters To a Fungus" by Polenth Blake. Nick Mamatas makes an appearance with a compelling story of revenge, titled 'The Shaft Through the Middle of It." When I read an anthonology, I certainly don't anticipate loving every story, but it would be nice to enjoy more than a handful. Thus 3 of 5 Stars. 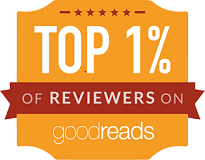 This means I'm glad I read it, but I'm just not crazy about it. If it sounds interesting to you, read it by all means. The paperback ($15) and e-book ($8) editions of Fungi are identical. However, Fungi is also be available as a hardcover ($28.00, available only via Innsmouth Free Press ) with three extra stories not included in the paperback and ten black-and-white illustrations by Bernie Gonzalez. Brian James Freeman is the Managing Editor of Cemetery Dance magazine and publisher of Lonely Road Books where he has produced some very nice limited editions over the years, including a beautiful print edition of Stephen King's Riding the Bullet. In addition to his work as an editor and publisher, Freeman is also an accomplished writer. His most recent novel, The Painted Darkness, has been called a hauntingly beautiful tale exploring the thin line between fantasy and reality. The 5 stories in Brian's new collection have appeared elsewhere over the years and I had already read a couple of them, but if you're new to Brian Freeman or are just looking for a few good stories, you could do much worse than More Than Midnight. First up is What They left Behind. Scott's father has bought an abandoned property with a factory, warehouse and office building. While moving into the warehouse during a big storm, Scott and George head to the basement of the office building to see if they can get the generator working in case of a power outage. Brian does a great job in building tension and in getting my heart racing when the lights do go out and the two are stuck in the basement and they are not alone...the past is there with them. My favorite story in this collection is The Final Lesson. It's been two years since Ronald Hammerstein's wife was murdered outside the Stop-N-Go. The killers were never caught. Another thing I like about Brian's stories is the way he can deliver the horror without telling you all the gory details. He has the skill to paint a picture with his words and leave rest to your imagination and for me it's just as effective, if not more so. The story, Among Us, is a bit out there, but a lot of fun and I thought Glenn Chadbourne's illustration for this one was dead on. Pulled Into Darkness is one of those stories that leaves you wondering if what you read was the truth or the ramblings of a deranged mind. The last entry was Answering The Call. I found this to be just as disturbing as it was when I first read it in Borderlands 5, nearly a decade ago. In all, a nice collection. And you really can't go wrong with a few stories from Brian James Freeman. Currently available only as a signed limited-edition hardcover from Cemetery Dance. To learn more, click here. 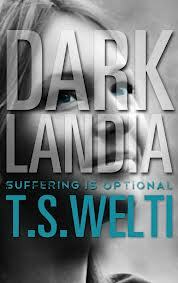 Darklandia is the first book I've read from YA author T.S. Welti. I don't expect it to the the last. If I had to catagorize the work, I might say a dystopian/thriller with one hell of a twist. Set about 130+ years in the future, the old United States is no more. After the Civil War of 2072 the government finally defeated the rebels by uniting with Canadian and Central American forces to form the nation of Atraxia. The story follows seventeen-year-old Sera Fisk who stops drinking the water rations and is soon recruited by Nyx into a rebel organization planning a full-scale attack on Darklandia, a vitual reality program which, along with those drugged water rations has transformed metropolises all over the country into happy, obedient communities. As you can tell from the above synopsis, there is a lot to learn about the future and the author did an exceptional job of giving just enough information to keep the story moving without leaving the reader feeling overwhelmed with information. There were a few things I was having difficulty understanding as the story was developing, but even those were answered in an ending that I never saw coming, but was completely satisfied with. Overall, I found Darklandia to be an enjoyable read and something I can recommend to anyone who enjoys a good, well told story. Visit the author's website at http://tswelti.com/. The book is available now, both in paperback and e-book formats from Amazon.com.